When you engage a Welding Consultant to prepare standards based Welding Procedures, ask if they have the intellectual property right to give you the material they provide. 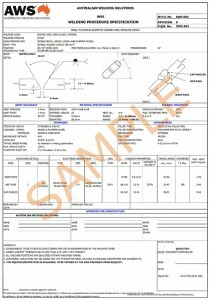 Some Welding Consultants copy documents that they do not have the right to copy, as another company owns the copyright. Use of such documents may expose you and your business to claims of copyright infringement, and may devalue or even invalidate the Welding Procedure that was prepared for you. So always ask your Welding Consultant to confirm in writing that it owns the rights to all the documents it sends to you. We will happily do this.